Our ASHI Certified trained home inspector will visually inspect all aspects of the home. Having your home inspected before placing it on the market is a great way to correct issues. Performing an inspection prior to completion will allow us to catch any issues. This inspection is done 1 month prior to the expiration of the builders 12 month warranty. We perform various tests to make sure there are no leaks in the water supply lines. Radon testing is easy and only takes 48 hours to get your results, ensuring your safety. 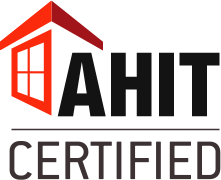 I am a certified Home Inspector through the American Home Inspectors Training Institute, ASHI Certified, passed the NHIE and have over 35 years of experience with home inspections in HVAC, Electrical, and Plumbing. Choosing the right home inspector is a difficult task and major decision. You can rest assure that you will receive my very best and an easy to read home inspection report upon completion. I am here for you, I will stay at the home with you as long as it takes so you can feel comfortable with your purchase. I’m in my 10th year as a home inspector with over 1500 home’s inspected. Contact us today and let me put my 35 years of experience on your side and in your corner. Contact us today and let me put my 35 years of experience on your side and in your corner. You will receive your home inspection report on the same day! With over 35 years of commercial building maintenance and residential installations in HVAC, Plumbing and electrical you need to look no further. Interested in our services? Take a look at our inspection fees to get an idea on pricing! Dan has been my go-to inspector for years now. He has been knowledgeable and thorough with every inspection and is personally a delight to work with. He describes/photographs each deficiency big or small, and has been a great help while negotiating repairs for my buyers. I also love how easy it is to navigate his reports. Hands down, Dan is the best inspector I could ask for. Dan inspected a home we were buying and did a fantastic job. We have had other inspectors who were more worried about time than doing a thorough job. Dan took his time, checked everything he could and made suggestions on how to fix some things. 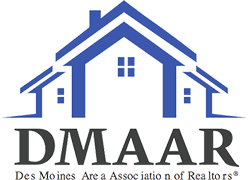 We were very satisfied and would recommend Dan to anyone as a nice person and knowledgeable home inspector. Thanks Dan. Dan came and inspected the home my boyfriend and I are buying. He was extremely thorough, very careful and tedious in his inspection. He even took the time to check all cabinets, drawers, doors, and showed us how to change filters on our furnace! He gave us tips and tricks and explained everything the whole way. We’ll definitely use ProSite Home Inspections again with our next home!